Meet our award-winning founder of Play2Give, Andrew Baker BCAv. 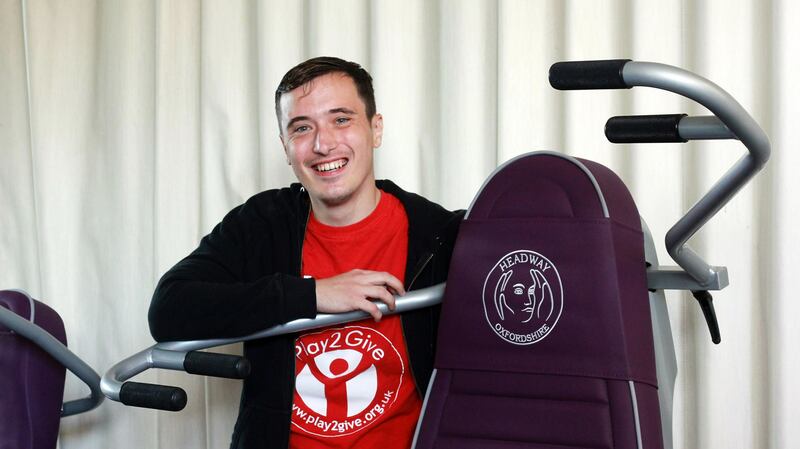 . .
Andrew, of Didcot, dubbed 'Mr Play2Give', began raising money for the Oxford Children's Hospital at the tender age of 14 in early 2003, and set up P2G , inspired by the hospital care and treatment he received in his childhood. 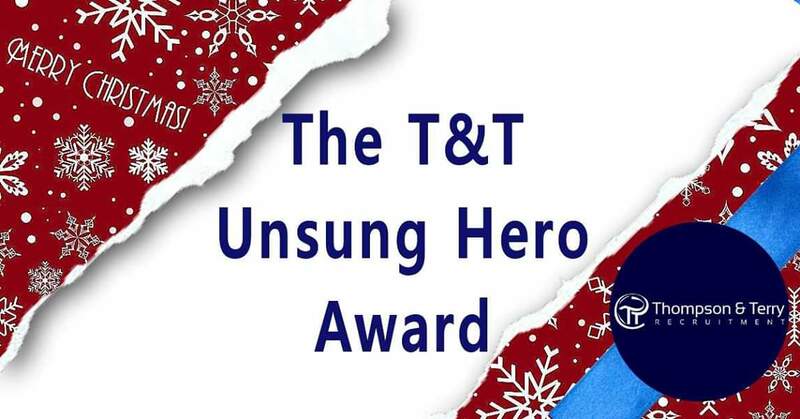 Now, to date, despite living with a brain injury, he has raised an amazing £170,000 and rising with his team of volunteers for causes close to his heart! Andy's passion, commitment, inspirational drive and relentless dedication to charitable giving, has earnt him recognition along the way. He was honoured amongst 8,000 others as a guest at Her Majesty The Queen's Garden Party at Buckingham Palace in June 2018, on his 30th birthday, selected by the Lord Lieutenant of Oxfordshire following a nomination by the Mayor of Didcot, with his most significant awards being a prestigious British Citizen Award he received at the Palace of Westminster in July 2017 in a ceremony hosted by TV presenter Michael Underwood, and in November 2017 an 'Outstanding Achievement Award' presented to him at the Didcot Business & Community Awards (BACAs). Andy was first involved in fundraising when, in September 2002, he and his mum, Ann, was featured in the Oxford Mail's publicity launch of the £15m appeal to build the specialist children's hospital, which opened in January 2007, of which he played a huge part in the original fundraising campaign. It was this appeal which, in January 2003 which then spurred and drove Andy, then a year 10 pupil at Didcot's St Birinus School, into raising funds for the hospital, as his way to repay his 'thank-you' back to the wonderful Oxford medics who treated him throughout childhood. Oxford medics saved his life twice over - once at birth after he was looked after in the neonatal care areas after being born with a brain injury, and again aged 12 following brain surgery. 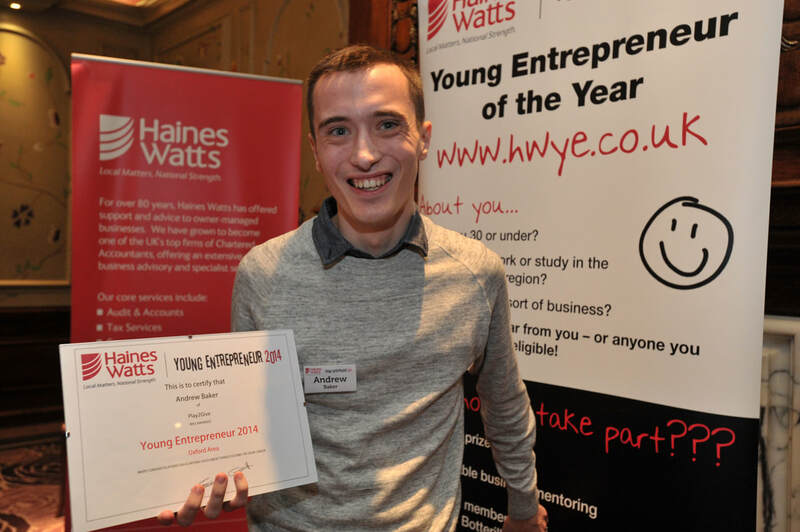 Over the course of five years during his time at the school, the sixth form and Didcot Girls School combined , he lead and inspired fellow pupils and teachers to get behind his fundraising endeavours. The school's name along with Andrew's sits on a glass plaque of recognition inside the CHOX's Atrium with hundreds of others involved in raising significant sums of money in the building of the Oxford Children's Hospital, which opened in 2007. 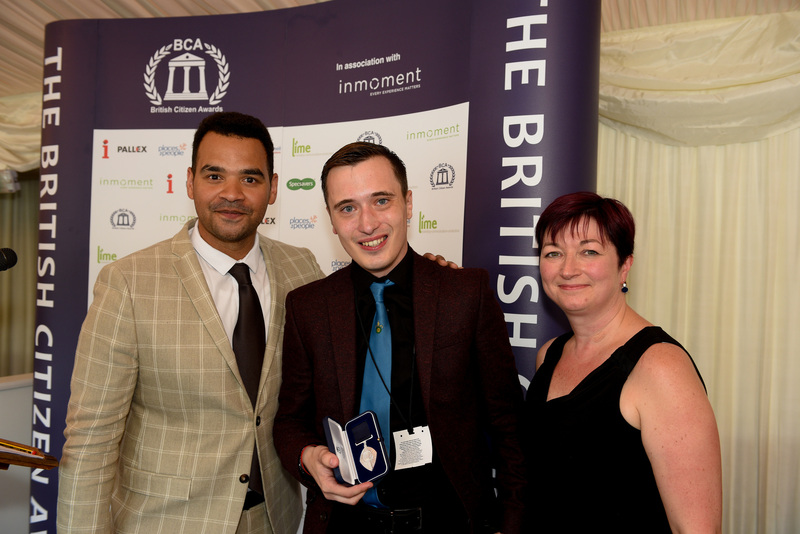 Despite living with a brain injury, Andrew continues to fight strong against his disability which often leaves him daily suffering extreme fatigue, crippling headaches, impaired function and walking difficulties, he never deters or stops in helping to raise money for others. ​Over 17 years with the help of his team and his local community, he has raised over £170,000 for Oxfordshire charities! 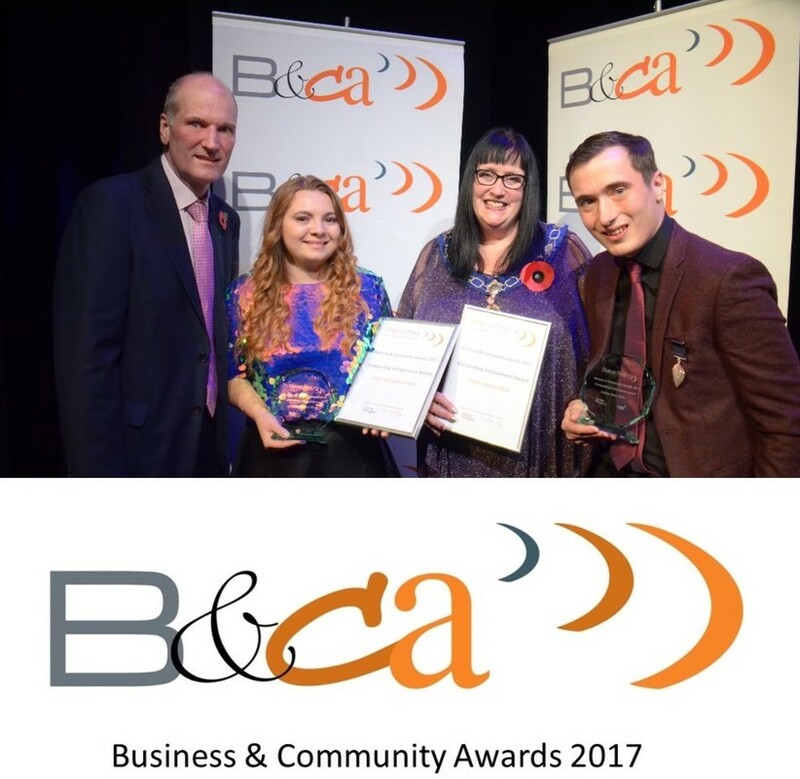 Our promotional video filmed over the course of two summer months in 2017 debuted at the Didcot BACAs last November showcasing what we are all about - changing, transforming and saving lives across Oxfordshire! With thanks to Interlock Productions for producing this fantastic film. 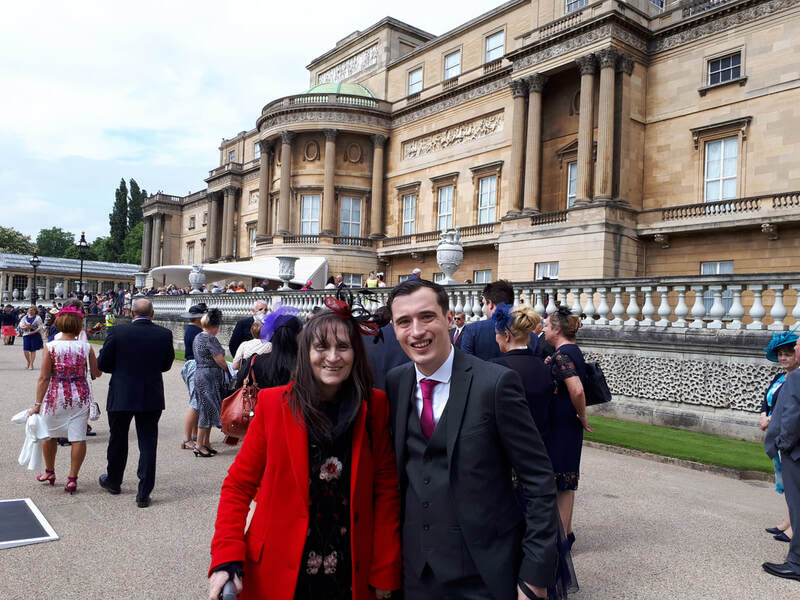 BBC South Today - Watch Adina Campbell's report from July 2017 broadcast on the day Andrew received a British Citizen Award at the Palace of Westminster. With thanks to BBC South Today and contributors St Birinus School, Headway Oxfordshire and Oxford Children's Hospital. 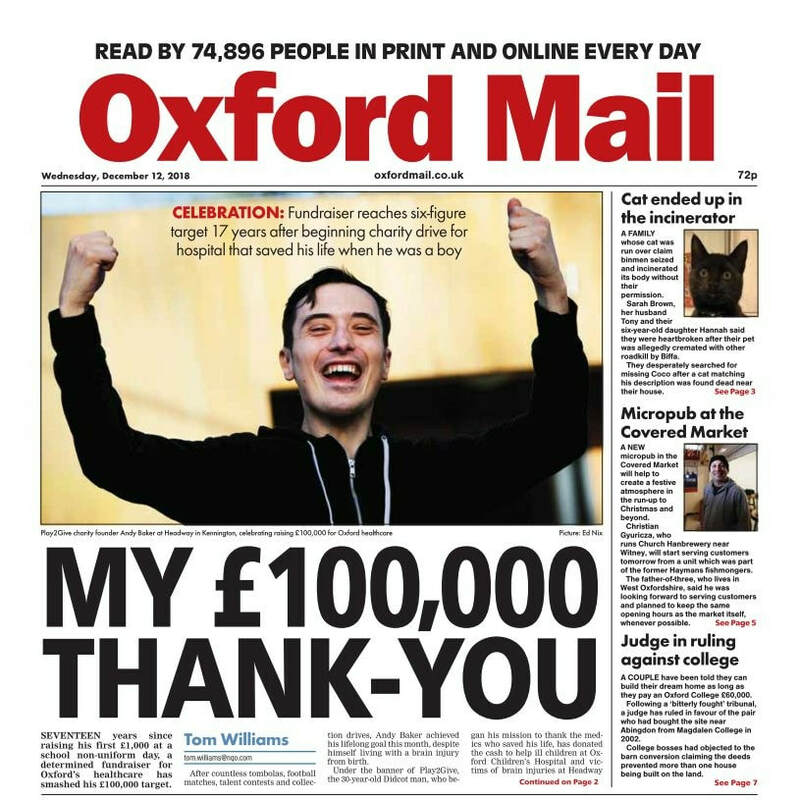 Andy made front page headlines of the Oxford ail on 12th December 2018, after smashing his £100,000 fundraising goal. Click on the picture to read the full article.